The liqueur producer Pimm’s is well known all over the world. To get this popular, you need to have great marketing strategies to increase brand awareness. 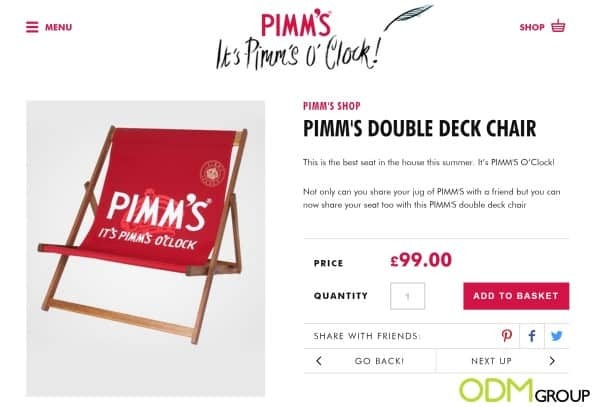 Pimm’s uses several promotional ideas and one of them is a branded deck chair. This deck chair is an amazing promotional item. You can use it as in store display like here in the picture, to reach the costumer with your marketing idea directly in the store. This way you enhance your product recognition and raise the sales by influencing the consumer in his buying behavior. Another possibility is to use the branded deck chair as on pack gift or as redemption gift with your products. By using them like this, you can influence many consumers with the gift with purchase promotion. 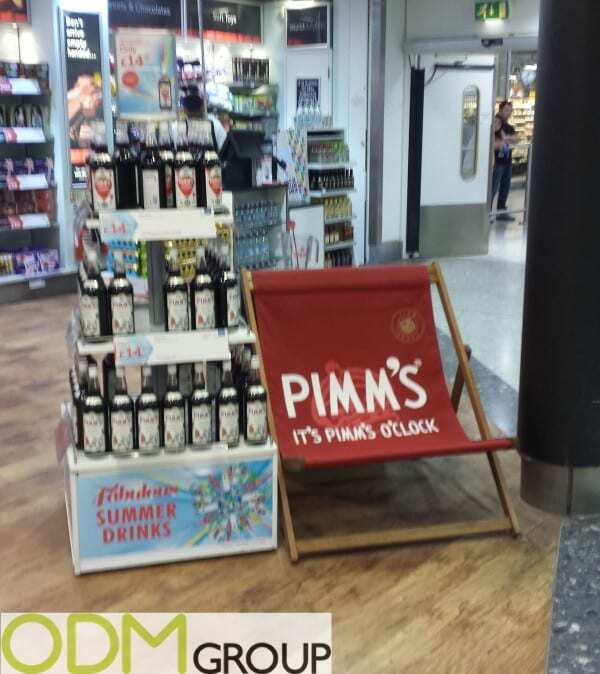 Pimm’s shows furthermore a fantastic idea to use the branded deck chair as part of a below the line marketing campaign. They offer their deck chair as branded merchandise in their online shop. This is a great example to do a marketing campaign only for your target audience. The deck chair is not only a great marketing idea from Pimm’s. 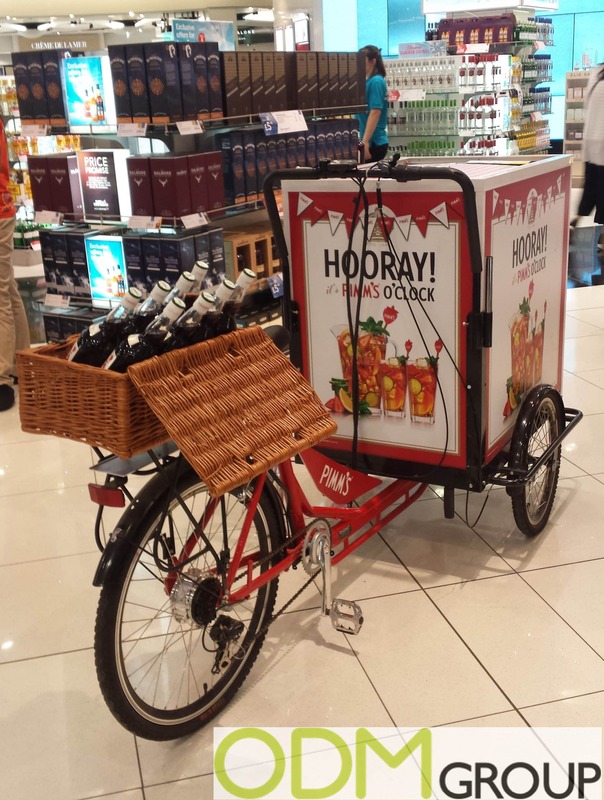 They also use this bicycle in store display to increase brand awareness and product recognition. This promotional bicycle is wonderful to use as display in stores or for example in pedestrian areas, to promote company and products. Curious, which promotional ideas are perfect for your business? Feel free to contact us at the ODM Group to learn more about promotional products and their benefits.